Best known as the keyboard wizard of the venerable Hungarian rock band OMEGA, the solo work of László BENKÖ ( b.12.6.43 Szombatheley, Hungary ) is by comparison virtually unknown beyond the confines of Eastern Europe. A curious offering of keyboard based electronic music, it can be likened at times to some of TANGERINE DREAM`s mid-seventies material such as Rubycon or Ricochet albeit with a more light-hearted, zany touch much more along the lines of KRAFTWERK minus the vocals or even some of VANGELIS` seventies work. Prefering shorter formats rather than longer multi-dimensional compositions favoured by many progressive electronic artists, it is worth a brief glimpse into his musical contributions and developments within OMEGA in order to better introduce his solo work. Without question OMEGA was (and is) the biggest rock act to emerge from Eastern Europe and can trace it`s origins back as far as 1959. After the amalgamation of two student bands from a technical high school in Budapest Omega was formed in September 1962 with László Benkö being the band`s original keyboard player. Throughout the early sixties they played cover versions from the likes of the Rolling Stones, Herman`s Hermits and the Beatles eventually composing their own psychedelic pop songs. During this period Benkö switched to flute and trumpet (he had training in jazz ) and two LPs as well as a number of singles had been released by the band by 1971 at which time two players including keyboard player Presser Gabor had departed to form another renowned Hungarian band, LOCOMOTIV GT. Benkö re-assumed his keyboard position in the band and it was then that his keyboard brilliance was brought into the fore as the band acquired a more progressive sound distantly comparable to that of early KING CRIMSON, The STRAWBS and The MOODY BLUES. In 1973 the band had come to the attention of German record producer Peter Hawke and the band was signed to a three record deal on Bellaphon Records and recorded three English language albums. During these recording sessions in Cologne,FDR they were given access to superior equipment and recording techniques than what were available in the Eastern Bloc at the time and an upbeat synthesizer led ballad entitled Help To Find Me (Nem tudom a neved in Hungarian with a slightly different lyrical meaning) became their signature piece which even elicited a remark from an American critic, " For everyone who wants to grow up to be a synthesizer ". However it was meant, such were the contributions from Benkö that would colour OMEGA`s music throughout the seventies on such albums as the synth heavy Hall Of Floaters In The Sky, the dreamy Time Robber and the spacey Gammapolis. Gammapolis was arguably Benkö`s finest hour with OMEGA where, in a less bombastic manner than western counterparts such as Rick WAKEMAN or Keith EMERSON, he made full use of a massive keyboard array to create spacey layerings which set various moods for this quasi-concept album about a Utopia beyond the skies. In the early eighties in keeping with the times the music of OMEGA took a techno-pop slant and their 11th studio album was full of Benkö`s rhythmic synth treatments which would establish a formula for a solo project which would extend over two studio albums released between 1982 and 1984. 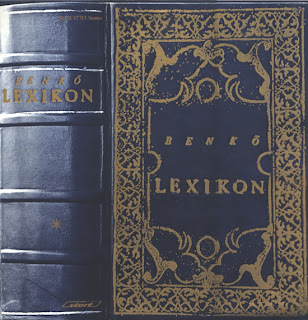 While OMEGA took a sabbatical from recording between `82 and `86 ( playing only live shows) Benkö recorded two highly experimental electronic concept albums Lexikon I and Lexicon II which drew musical influences from numerous sources which is now available as a one CD presentation simplly entitled Lexikon A-Z. 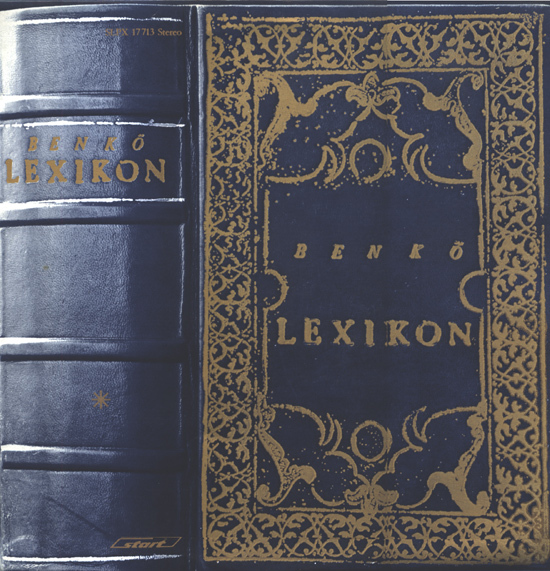 Centered around an alphabetical theme based on the Greek Book Of Words (or the Greek Dictionary), the rationalized Lexikon A-Z released in 1989 contained 23 minimulistic compositions which utilized a suprising array of keyboards, drum computers and sequenced effects achieve an impressive and varied end product. The well tempered keyboards deviated considerably from the OMEGA sound and offered a wide variety of melodies and effects not adhering to one specific musical style, from computer generated calypso ethno beats , quirky sounds which would one would associate with a travelling carnival to more modern techno-pop experiments. The high tech possibilities of new computer technology afforded by OMEGA in the early `80s gave Benkö creative carte blanche and he used it to it`s best advantage. Two further OMEGA studio albums in 1986 and 1987 also made good use of these computer simulations and enhancements. A 10 year recording hiatus between `87 and `95 during which time OMEGA only played live shows yielded three more idiosyncratic recordings from László Benkö. The legend of Icarus, the Greek mythological figure who fell to Earth while attempting to escape from the island of Crete became the framework for a 1990 album simply entitled Ikarosz and is by far Benko`s most orchestral of his solo repetiore. Still adhering to the more expedient shorter compositional format, it concluded with the extended two part Aphrodite gyemekei (Aphrodite`s children) which also included live vocalists and was performed live in Budapest in December 1990 with a guitarist, saxophonist and string quartet. The following year Benko collaborated with OMEGA frontman János Kóbor (as engineer and guitar player) using his keyboard virtuosity to create a resplendent tribute to the music of OMEGA on an album entitled Omegamix. The result was a two part suite which pieced together 30 OMEGA compositions from every era of the band, from the psychedelic sixties to the techno influenced eighties, once again using a vast array of keyboards and computer wizardry. The songs were not arranged in any specific chronological order and reflected the sublime exhilaration, melancholy and romance of OMEGA`s music over 20 years. Another solo effort appeared in 1994 which coincided with OMEGA`s comeback with a massive live concert in Budapest`s Nepstadion and the re-mastering of much of their back catologue on to CD. As the name of the work would suggest Impressario was an abberant collection of musical ideas which once again followed shorter compositional structures making extensive use of state-of-the-art KORG products in addition to other ubiquitous computer effects. Other László Benkö undertakings outside the realm of the supergroup OMEGA have included film work, sitting on copyright boards and participating as a catalyst in other musical endeavours and more recently participating in a keyboard extravaganza in Sept 2008 in the Budapest Sports Arena billed as Billentyüsók Éjszakája (the night of the keyboardists). Parchance, the solo ventures of László Benkö have been overshadowed by the ongoing success of OMEGA and due to the fact that his recordings have only been released in his native Hungary, this is not to say that his innovative music does not belong in the same caste as that of other more prolific progressive-electronic artists. All of his work is available through www.rockdiszkont.hu for those who want to discover the uncany immaginativeness of this oft overlooked Hungarian keyboard maestro.